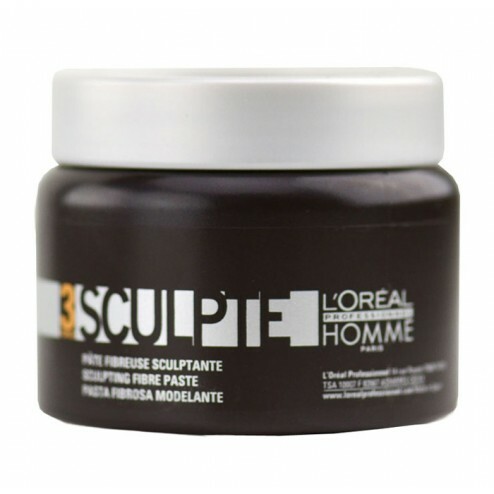 L'oreal Homme Sculpte Sculpting Fiber Paste 5 Oz. Hold Factor 3 (1-6 Range). L'Oreal Homme Sculpte Sculpting Fiber Paste. Great for designing modern, textured looks, Homme Fiber Paste will give your hair a supple, flexible hold with tons of texture. Infused with natural humectants that give your hair a healthy shine, Homme Sculpte Paste is easy to rework if you want to change your style at night for a different look.